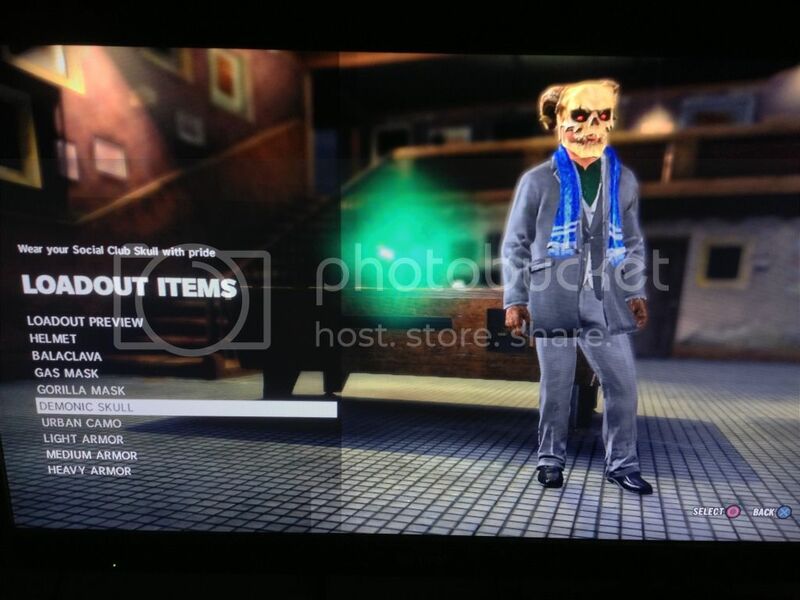 Rockstar Games had a event where you could unlock Halloween masks. 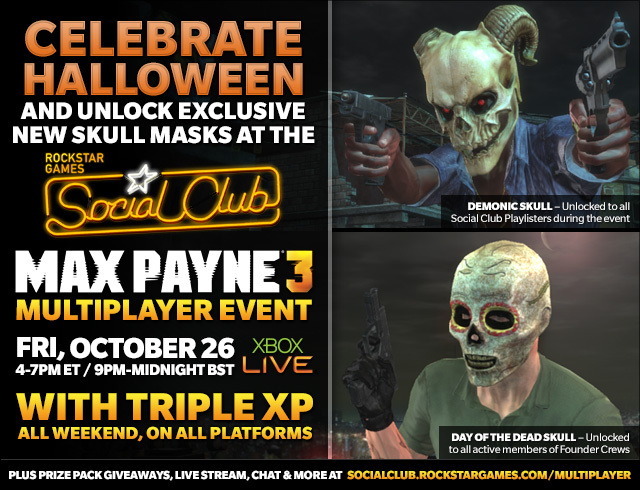 Images below..
Those who played during the Social Club Event can see their unlocked Demonic Skull mask here..
Says above that the Day of the Dead Skull will be unlocked for all active members of founder crews (crews created before a certain cut-off date). 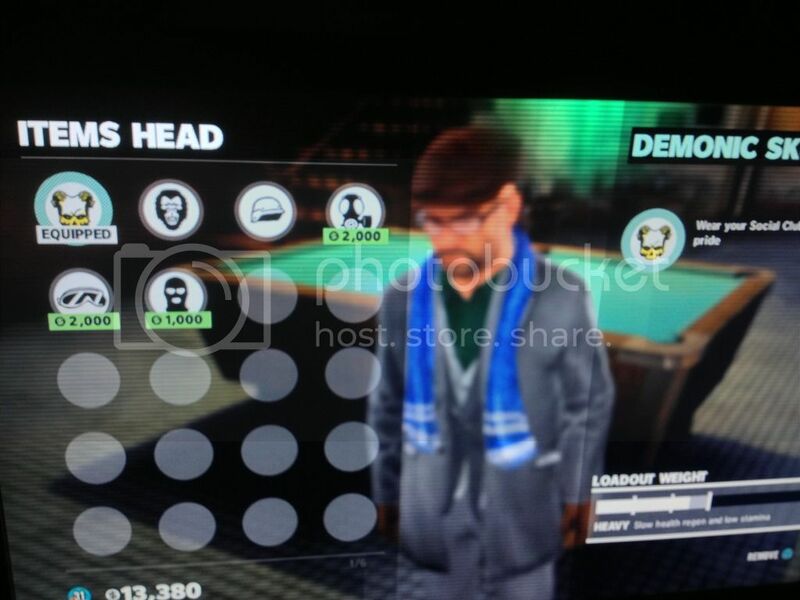 But in Rockstar Games newswire, it says "If you have a Founder Crew as your Active Crew, or you have played at least one full game in the 26th October Social Club Playlist, check out the Head Items section of your Multiplayer Loadouts after 4pm to access the Skulls (you may need to exit to the main menu of Max Payne 3 and then return to Multiplayer in order to see them)." I played throughout the event but still didn't get it. Dropped Rockstar an email so hoping for some good news. 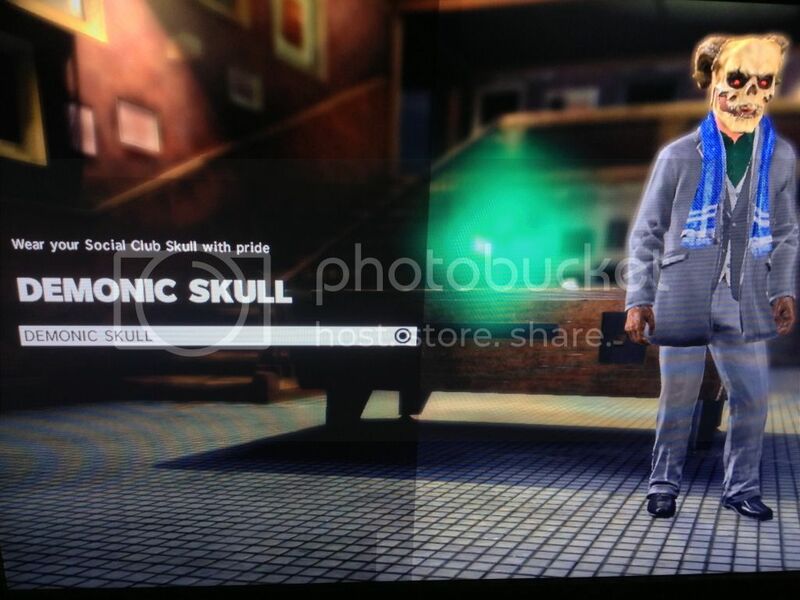 Will be great if I can get it.. More customization options are always a plus for me, even though both masks don't add any abilities. Maybe they should add these masks as options for the Intimidation mask available in the upcoming Hostage Negotiation DLC pack.